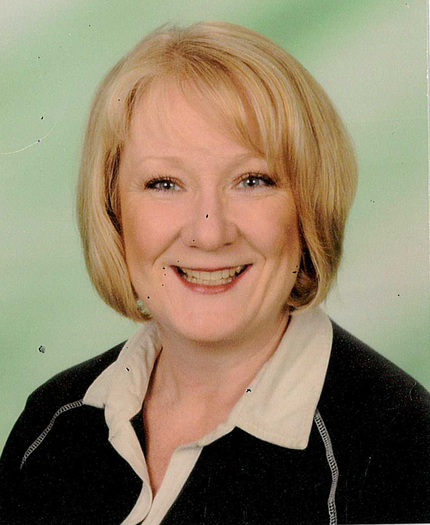 Mrs Riches joined Freegrounds Infant School in September 2011. 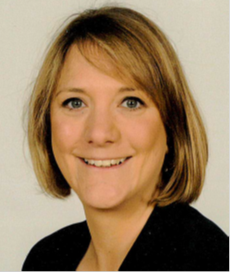 This is her second Headship, previously she was the Headteacher at John Keble Church of England Primary School in Hursley for 4½ year which she led to becoming the highest performing primary school in the County and one of the top 10 performing schools nationally by 2009. 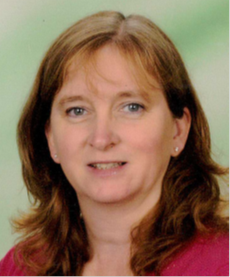 She studied her teaching degree in Southampton and in 2006 was awarded her NPQH (National Professional Qualification for Headship). Prior to this she spent 10 years in leadership roles and teaching within Infant Schools in Southampton and the New Forest. 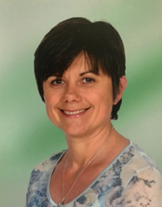 Mrs Riches ensures school improvement priorities are secured by working collaboratively with the Strategic Leadership Team, governors, staff and wider school community, facilitating high quality professional development opportunities, coaching and mentoring. She also ensures the schools budget is spent to best achieve school improvement priorities and the school meets its duties in relation to health and safety, safeguarding and the statutory requirements set out by the DFEE. 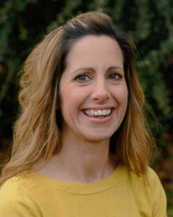 She is passionate about Infant Education and committed to working in partnership with parents and the local community, putting down firm foundations which allow pupils to achieve their best. In her spare time she enjoys cooking. gardening and spending time with her family and dogs. Miss Seed joined the school in September 2015. She is the Year 2 Leader and also leads English across the school. She studied Law at University and then gained her PGCE, specialising in EYFS education and development. She is passionate about children’s education and strives to ensure that each child’s uniqueness is cherished and nurtured to enable them to flourish. In her free time she enjoys cooking. travelling around the world and exploring new places. She also has a weakness for nice shoes! She comes from a small close family, so family time is very important to her. Mrs Watkins is the Inclusion Manager at Freegrounds Infant School where she has worked for several years teaching in all year groups. She works with lots of different children, parents and external agencies to ensure the children who have specific needs receive the support and guidance they need. She taught in London and Shropshire before moving to Hampshire. When she is not in school she enjoys travelling and visiting new places in her caravan. She also enjoys reading good books and watching rugby and cricket. Mrs Jones is Blue class teacher at Freegrounds Infant School, Leader of Early Years and a member of the school Strategic Leadership Team. She also leads RE and SMSC across the school. 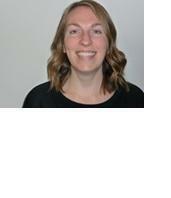 She completed her degree in Teaching and Learning with the University of Worcester and her PGCE with Cornwall SCITT. 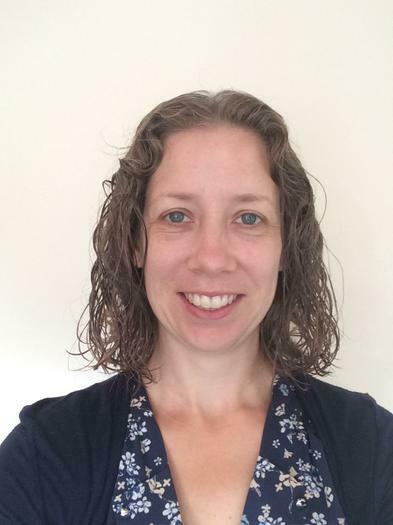 She has a particular interest in outdoor learning and Phonics and when not in the classroom she can be found enjoying her time off with her husband, 2 dogs and 2 cats or enjoying holidays in her caravan and the occasional cruise! Mrs Ta ylor has had a long and happy career at Freegrounds Infants, firstly as a SNA, then as an LSA in Year 1 and 2 and then her current position of EYFS LSA, making a grand total of 30 years! She lives locally, has been married for 35 years, has 2 sons, 3 granddaughters and another one on the way (granddaughter). In her spare time she organises a family swim club session at Wildern Pool. She enjoys Pilates, big family holidays and cruising on the high seas whenever she can. One of her favourite pastimes is attending concerts especially Celine Dion and Donny Osmond! Mrs Rigby is one of the Red Class teachers at Freegrounds Infant School. She teaches on Thursday, Friday and every other Wednesday. She has been a teacher at Freegrounds Infant School for 11 years, many of them spent in EYFS. She moved to Southampton when she was 18 to go to university from Staffordshire which is where the rest of her family live. She spent several years travelling throughout Asia, Europe and lived in Australia for 2 years before starting teaching. Away from school her time is mostly taken up by her 2 children. They keep her very busy! She is also committed to her yoga practise of 18 years which helps keep her fit! She also enjoys gardening, vegetarian cooking and walks out at the beach and in the forest. Miss Emery is one of the class teachers in Red Class. She teaches at the start of the week and every other Wednesday. She is also the school Leader of Art. She gained an English degree at university and then spent two years working as a teaching assistant before completing her PGCE. 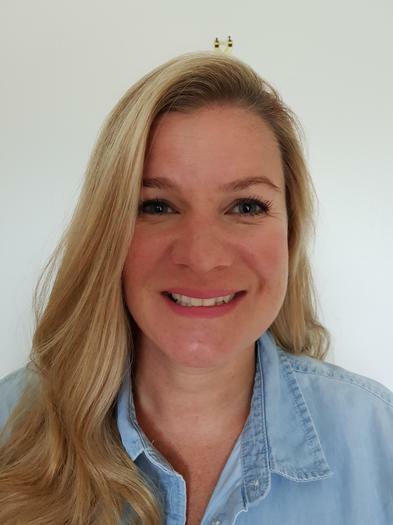 She loves teaching and is passionate about creating a happy and stimulating classroom in which children can achieve their full potential as she feels there is nothing more rewarding than watching the children grow and develop throughout the year. When not working she is a busy Mummy. She enjoys all sorts of activities at home but especially outdoor and messy play. Any free time she gets to herself she loves to spend gardening and reading. She also enjoys arts and crafts including creating her own cards, felt making and cross stitch. 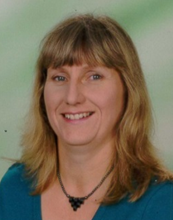 Angela Giles has lived in Hedge End for 37 years and has been a teaching assistant in Early Years fo r 27 years. She is married with 2 grown up children and a granddaughter. She really enjoys her role in school, seeing the transformation from when the children start compared to where they finish in Early Years. She is very committed and doesn’t tend to stop until she has finished what she’s started. She enjoys reading, shopping, catching up with friends and seeing her granddaughter. Mrs Killick trained as a teacher in Southampton and taught in a school in Eastleigh for 8 years, followed by 2 years as a teacher at Freegrounds Infants School. 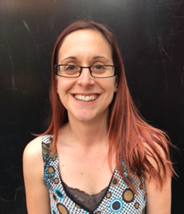 Following a career break she worked from home for several years as a childminder and returned to Freegrounds in May 2014 as an LSA supporting Pupil Premium children with their reading. She also held other temporary posts in the school supporting individual children with their learning in class, before she was appointed as a class LSA in July 2016 and more recently as Yellow Class teacher. She loves being back in the classroom, supporting the teacher and working with our enthusiastic and imaginative children. In her spare time she loves reading and swimming and camping holidays in her tent. Bridget Lowry joined the school in January 2019. She completed a Geography degree at Aberystwyth University many moons ago!! 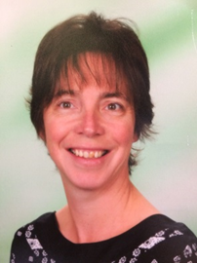 Having had a family and spent some time working as a TA in her daughters’ school she returned to university and completed her PGCE at the University of Hertfordshire in 2005. Since then she has worked in Infant Schools in Hertfordshire, with a particular heart and passion for Early Years. In 2017 she and her husband moved to Hedge End and she has spent a year getting to know the area, making friends and supply teaching. She loves working in Early Years and strives to establish the building blocks to enable children to have a strong foundation for life-long learning. In her spare time she enjoys singing in a local Rock Choir, running and walking in the beautiful New Forest. When she has the opportunity she loves spending time with her 2 grown up children who live in Nottingham, and her husband of course!! Mrs White works in Yellow Class as an Early Years Learning Support Assistant. 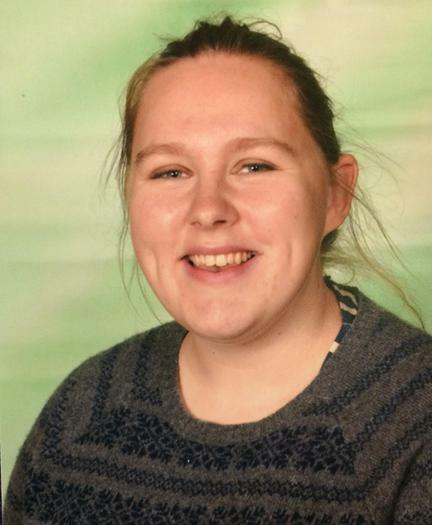 She has studied STLS L2 and L3 at Eastleigh college, and has been working at Freegrounds Infants school since 2014. Apparently she absolutely loves it! She thoroughly enjoys working with all the children and finds her role very rewarding. She has been married for 13 years and has 2 wonderful children. When she is not at school she enjoys spending time with her family at the beach or going on a bike ride in the forest. She has just bought a tent and is looking forward to lots of camping adventures this summer! Miss Webb is the Year 1 Leader, Purple Class Teacher and a member of the Strategic Leadership Team. She is also the Leader of Maths. 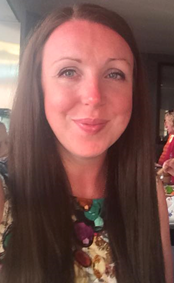 Miss Webb is an exemplary practitioner who loves teaching and enabling opportunities for children to explore, learn and grow as individuals in an environment that promotes discovery and inspires their curiosity. She went to The University of Winchester to study her teaching degree, a dream she had since being in Year One herself! In her free time she loves visiting new places and spending days out exploring with friends and family. She also enjoys baking, trying new recipes, and reading. Mrs Tuohy works alongside Miss Webb in Purple Class. Previously she worked as a breakfast show presenter on the radio before becoming a music therapist for adults with learning difficulties. She is also a children’s entertainer at the weekend and often dresses as various characters. She loves making imagination come to life and she is very passionate about children being able to learn from their experiences, reach for the stars and achieve their dreams. She has two small children and loves spending time with them at the beach or going for picnics on the south coast. Mrs du Preez is one of the class teachers in Orange class. She teaches on Monday, Tuesday and Wednesday. She studied teaching in her home country, South Africa, before spending a year as a nanny in Muscat, Oman. She loves teaching and strives to create a classroom environment that is exciting and inviting, providing a range of opportunities for hands on learning as well as promoting the school values. Outside of school most of her time is taken up looking after her very busy 3 year old. They especially enjoy spending as much time outdoors, investigating, as they can. Mrs Du Preez enjoys good company, loves to cook and try out new recipes. She is looking forward to working with the children in her class next year and making it the best possible year in Year 1. Mrs Jones is one of the teachers in Orange class on a Thursday and Friday. She has worked at Freegrounds for 19 years and she is very proud to have taught in every year group. She grew up in West End and studied at Chichester Institute of Higher education, where she gained her Science and Education degree with Qualified Teacher Status. She loves teaching and is dedicated to helping children achieve their potential – developing confident, happy, independent, successful and resourceful learners who want to do their very best. When she is not at school she is a busy mother of 2 boys, She loves gardening, sewing and Pinterest! Her husband has a love of classic cars, so she often goes on adventures in her 1951 Rover at the weekend. Mrs Ratcliffe will be the LSA in Orange class and she is looking forward to welcoming the new Year 1 class and helping and encouraging them to discover and explore learning in Year 1. She has an N.N.E.B. Nursery Nurse qualification and has worked with children 0-7 years throughout her career. Out of school, she loves exploring gardens and visiting the tea rooms afterwards for tea and cake! Other past times are walking her lively and energetic Cocker Spaniel, reading historic novels, swimming and Yoga. She has worked at Freegrounds Infant School for around 15 years and looks forward to adding another year next year. Miss May is the teacher in Green Class. 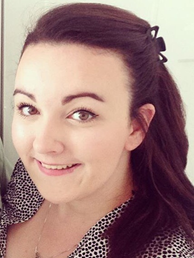 She has just finished studying her Primary Education degree at Canterbury Christ Church University and she enjoys working with children in the EYFS and KS1. Teaching is something she has always been passionate about, and she is dedicated to supporting children with their development and creating an environment that gets them excited about their learning. She believes that all children should be given the opportunity to grow as individuals, and as part of a class. In her free time, she enjoys spending time with her friends and family, as well as reading books and watching films. She also like to travel when she can and has a general love of animals, particularly cats. 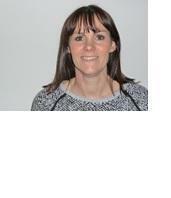 Mrs Sims has worked at Freegrounds Infant school since 2013 and is the Learning Support Assistant in Green Class. 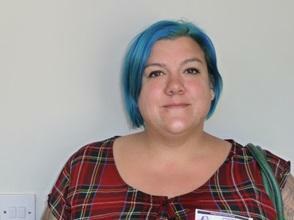 She has completed Level 3 Supporting Teaching and Learning in schools whilst volunteering here since 2011. 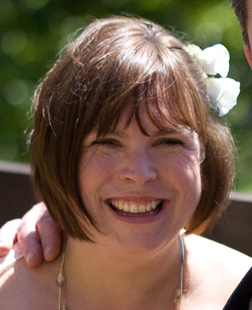 She also has a Psychology degree and Makaton Foundation level. She is married with three little girls and in her free time she enjoys days out, going on holiday with her family, visiting the theatre and eating at new restaurants. She is really looking forward to working with Green Class and Miss May next year. Besides being an LSA in the mornings, she also works two afternoons a week with groups and individual children doing Speech and Language Therapy. Miss Naylor is extremely excited to be joining us at Freegrounds Infant School and is looking forward to getting to know her new class. She strongly believes in developing the whole child and will supporting each and every child through the year so they can achieve their best. Prior to completing her PGCE she completed a degree in Equine Science and worked as a groom and horse riding instructor. Outside of school she still enjoys horse riding with friends and going for walks with her dog, exploring new places. 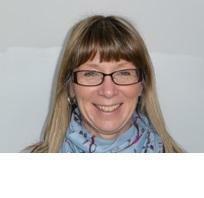 Louise Killick is the LSA in Scarlet Class at the beginning of the week. On Thursday and Friday she teaches in Yellow Class. She trained as a teacher in Southampton and taught in a school in Eastleigh for 8 years, followed by 2 years as a teacher at Freegrounds Infants School. 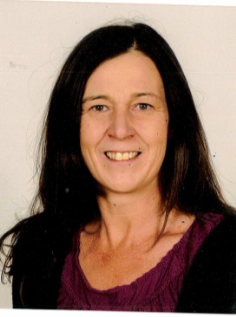 Following a career break she worked from home for several years as a childminder and returned to Freegrounds in May 2014 as an LSA supporting Pupil Premium children with their reading. 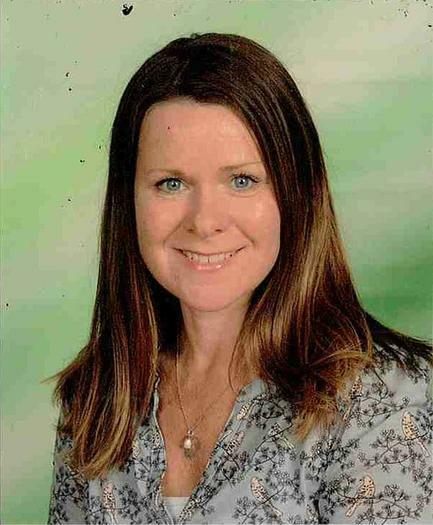 She also held other temporary posts in the school supporting individual children with their learning in class, before she was appointed as a class LSA in July 2016. Mrs McGillivray teaches the end of the week in Turquoise Class. Her childhood was spent growing up in Singapore, she then went to University in Cardiff and has since taught in London, Chandler’s Ford, Southampton and Hampshire. She spent a long time in leadership in schools, has been a Governor, has coached other teachers to improve their practise, and most recently, has worked pastorally to support children emotionally. Now she is enjoying being back in the classroom and is passionate about enabling all children to make progress and thrives when seeing children getting excited by their learning. Away from teaching, she works for her husband’s company, and her two young children and Springer Spaniel keep her very busy. They all enjoy going out for the day on their boat to the Isle of Wight and travelling to new countries. Mrs Sue Dore has worked at Freegrounds Infant School since 2003. She started as a parent helper before becoming a Lunchtime Assistant and then a Learning Support Assistant working in Year One and Two. She gained HLTA Status in 2006 and achieved a BA (Hons) in Education and Training in 2013. She has several roles in the school including School Librarian, Lunchtime Co-Ordinator and she also works as a Speech and Language Teaching Assistant. She has been married for 30 years and has a daughter and two sons. Outside of school she enjoys baking cakes and reading. She thoroughly enjoys working with all the children and sharing their awe and wonder moments when they learn something new. Mr Quinn is currently Scarlet Class teacher. From September he will be the teacher in Emerald Class. He is also school Leader of Computing. 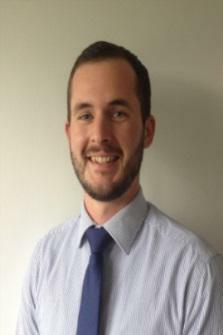 Mr Quinn joined the school in September 2016 however he is just as excited to meet and teach his new class this year as ever! He firmly believes in helping to develop well-rounded children and always embraces and promotes every child’s individuality. One of his biggest strengths is his ability to form positive working partnerships with children. Outside of school, Mr Quinn loves travelling and exploring new places, having been lucky enough to travel to many countries. He always likes to try new things and is very active, playing a number of sports including football, tennis and golf. He enjoys the odd bit of cooking and baking and has enjoyed leading Cooking Club this term. 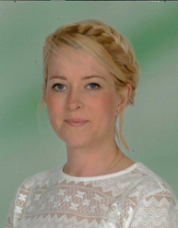 Mrs Haines joined Freegrounds Infant School in January 2018. Prior to this she has worked in an office environment. She is responsible for the administration of several areas including HR, Finance, procurement whilst also managing the welfare needs of pupils with the odd plaster or two when required. Mrs Haines is married with two children. A lot of her spare time is taken up with renovating her house which she has just moved into but she also enjoys baking, upcycling furniture, going on family holidays and camping trips in her tent when it is not too cold. 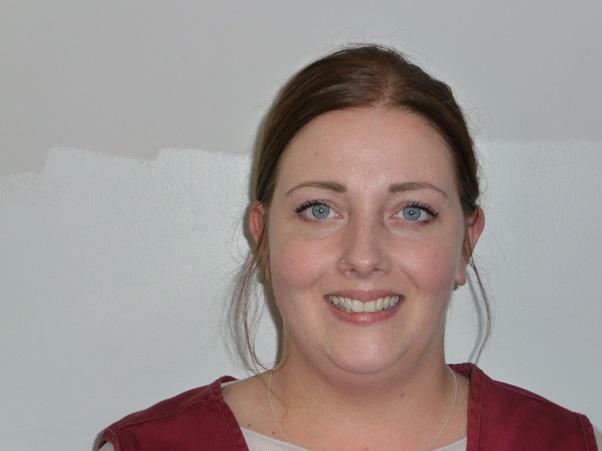 Mrs Belcher started working in the school office as an Administration Assistant in November 2018 and has previously helped on many school trips. After taking a break from working in an office since having her eldest child she is excited to get back in the office and looking forward to helping everyone. Mrs Belcher is married with 3 children and enjoys running and baking in her spare time. Mr Southern joined the school in 2013. Prior to this he worked as Operations Manager at Fawley Marine terminal overseeing 50 operators in the day to day management of the facility. His areas of expertise lay in Health and Safety, project planning and facilities management. In his spare time he enjoys DIY, gardening and especially wood work. Mr Southern does a fantastic job of keeping our school grounds safe and tidy. He feels the school grounds should be a bright and attractive place for children to and learn and he has planted and nurtured the plants that grow here. His personal favourites are the dahlias. Although PJ only visits school rarely when she is in school she enjoys working with the children helping them to understand and learn about the different concepts and ideas we cover in Collective Reflection. PJ lives at home with Mrs Riches, she enjoys running in the woods, treats and going to the beach. Mrs Dore oversees the team of Lunchtime Staff who support the children with the mid-day meal service and activities to promote play in the playground and on the school field. She is keen to promote the children to be physically active and make healthy choices in relation to the food they eat to promote a healthy lifestyle. Mrs Dore is also the Learning Support Assistant in Turquoise Class.